The Stepping Up for Change session is aimed at getting participants to take greater ownership, bring more innovative ideas, become stronger change agents, take more personal initiative for solving problems, challenge themselves to grow, and to create a climate of ownership around them. Dr. John Izzo helps companies maximize their potential from the ground up. For over 20 years, Izzo has worked with thousands of leaders around the world, on employee-engagement strategies and brand transformations. 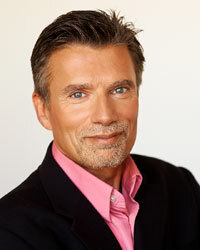 Now, he shares the secrets to how purposeful leadership translates into sustainable success, with audiences everywhere. Dr. Izzo is the former senior organizational-development consultant for Kaiser Permanente, and former Vice President of The Einstein Consulting Group, an international customer-service consultancy. He advises some of the world’s most admired companies, teaches at major universities, conducts leading-edge research on workplace values, and has spoken to more than one million people around the globe. He has served on the boards of several large conservation organizations, worked with over 100 companies to create more socially responsible workplaces, and was chair of the North American Environmental Caucus at the UN Conference on Development and Sustainability in Cairo. Frequently profiled in the media, Dr. Izzo has appeared on CNN and Canada AM, and in the National Post, The Globe and Mail, The Wall Street Journal, and Fast Company magazine. A bestselling author, Dr. Izzo has five books, including Awakening Corporate Soul; Values Shift: Recruiting, Retaining and Engaging the Multigenerational Workforce; The Five Secrets You Must Discover Before You Die; and Stepping Up: How Taking Responsibility Changes Everything. "Shed or You’re Dead: How to Stay Alive & Thrive in the Midst of Change"
Millions of dollars and thousands of hours are lost each year due to the inability to get your employees to move forward with change. Why do 75% of all change efforts fail? Managing smart in turbulent times and leveraging your human capital effectively are two of the most critical skills for HR leaders today. 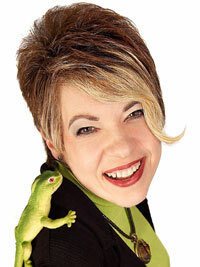 Kathy B. Dempsey, award winning author, keynote speaker and change expert is President of Keep Shedding! Inc. Kathy ignites people and organizations with the skills and motivation to lead and manage change. Her most popular book, Shed or You're Dead®: 31 Unconventional Strategies for Growth and Change has been awarded with a Writer's Digest International Book Award. Her Survival Guide books; A Fast Acting Change RX for Every Employee and Manager & Healthcare Professional has been utilized as a guide for change by 100s of individuals and organizations. Kathy is a contributing author for two of the NY Times Best Selling Chicken Soup for the Soul books. She is also the editor of 60 Seconds of Shedding. A monthly e-newsletter read by over 14,000 people around the world. She has achieved the highest earned speaker’s designation in the world, the Certified Speaking Professional (CSP) and has twice been designated a Top 5 Speaker for the year. A native of Washington, DC, Kathy now resides in Scottsdale, AZ with her business partner, Lenny the Lizard, the Chief Energy Officer (CEO) of KeepShedding! Inc. Together, Kathy and Lenny ignite professionals with the practical skills to lead and master change. Check out our Closing Keynote Speaker 1 minute video to WISHRM Conference Attendees.